When Jack and Annie got back from their adventure in Magic Tree House Merlin Mission #10: Monday with a Mad Genius, they had lots of questions. 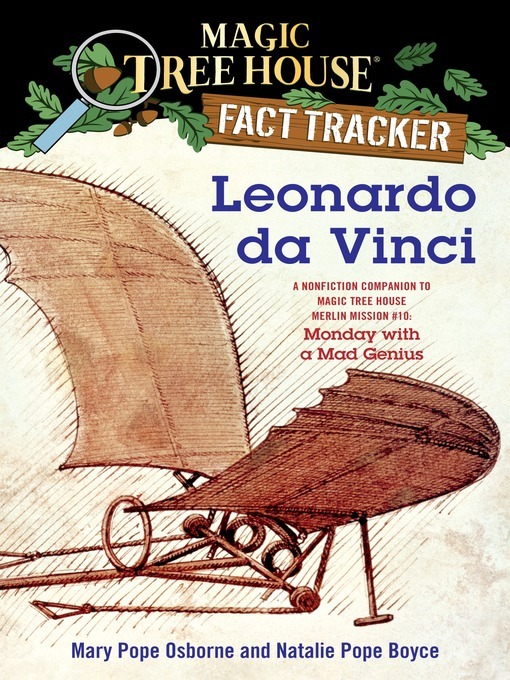 Why was Leonardo da Vinci interested in flight? What are some of his most famous painting? Did he really keep noteboooks just like Jack? What do scientists today think of his ideas? Find out the answers to these questions and more as Jack and Annie track the facts.